When I think of Charlie Simpson as a musician I always think of him as Charlie Simpson of Fightstar, not necessarily Charlie Simpson the solo artist or Charlie Simpson of Busted. It would’ve been even harder to think of him as Charlie Simpson of McBusted, so thankfully he kept his musical integrity and promptly declined revisiting his self-admittedly embarrassing roots. After more than half a decade of viewing Simpson as a rock musician I wasn’t really sold by his debut solo record Young Pilgrim, thinking it was fairly hit-and-miss, and as a result I was apprehensive about its follow-up. I needn’t have been though because Long Road Home is the best thing Simpson’s released since Fightstar’s debut record Grand Unification. With McBusted selling out every date they book and almost certainly raking it in Simpson deserves an immense amount of credit for sticking to his morals and releasing music he cares about and takes pride in – absolutely nothing on Long Road Home warrants humility. 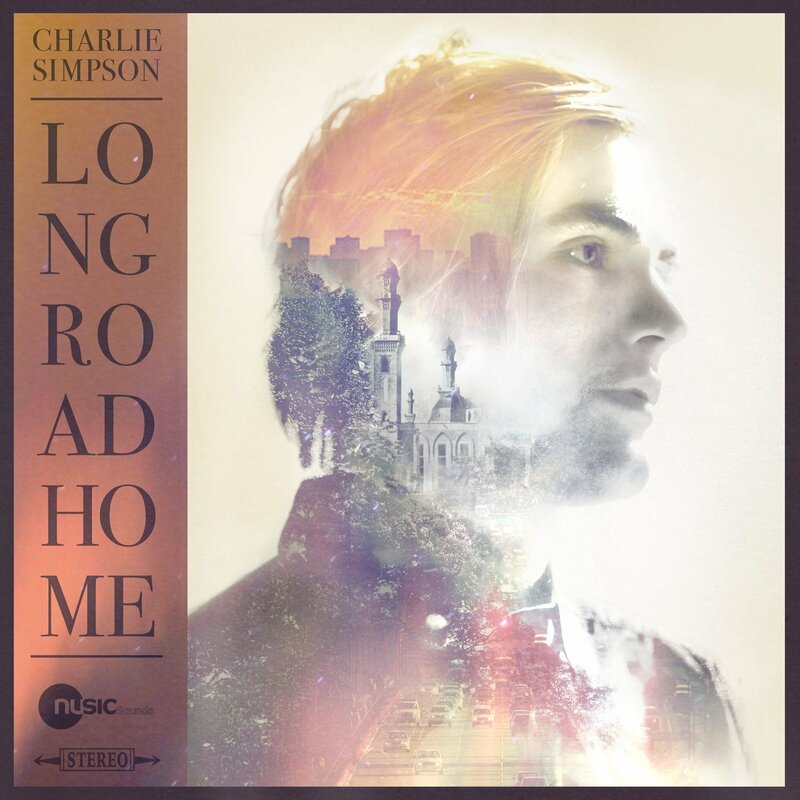 If Young Pilgrim was Charlie Simpson taking his first uneven steps in a new genre then Long Road Home sees him sprinting; it’s a progression in every conceivable way, a much more focused and confident record. Simpson described it himself as ‘the hardest record’ he’s ever had to make, but whatever struggle has gone into it is rewarded tenfold. There’s a very clear attention to detail and craft here, Long Road Home sounds like it’s been laboured over, polished again and again in order to make sure it sounds exactly the way it should. Be it in the extensively layered vocals or the numerous instruments that play a part everything is there for a reason, and it all comes together brilliantly. What’s deliciously blatant about Long Road Home is that it has heart; it all sounds incredibly genuine, and it sounds that way because if Simpson wasn’t projecting every ounce of himself into his music then he wouldn’t bother releasing it all. This is the mark of a real musician, and Long Road Home is as real and authentic as it gets – a warm, absorbing delight of a listen. The record opens with its title track and jaunty pianos, and it’s immediately upbeat and breezy, setting the tone for what is, at its core, a charming folk record which does take influence from a number of genres and similar artists. Opener Long Road Home carries shades of Coldplay during its chorus, Chris Martin would undoubtedly approve, and as a whole it showcases a more mature, bolder approach to songwriting from Simpson, and it’s a common theme throughout Long Road Home, which is more willing to make a mark on the listener, and the album’s first chorus does just that, likely to stay in your head for a few days at least, anything but lacklustre. At times the numerous vocal layers used are slightly disorienting, and perhaps they’re overused, but the numerous harmonies are balanced out very well, and it means that when Simpson wants to step things up a level without necessarily adding to the instrumental side of a track he can throw some complementing vocal harmonies into the mix, and tracks often blossom as they introduce layers. The delicate Emily is very reminiscent of Bon Iver (add a few ‘Woah oh’s and you’d come pretty close to Towers) and it’s one of the best tracks, capturing that mood somewhere between chillingly cold and comfortingly warm, the same that often characterised Justin Vernon’s last self-titled record. As guitars spark and Simpson croons it’s nestled between sombre and soaring, happy to drift before picking up in the second verse as a lot of the songs tend to. Long Road Home is gorgeously composed, and songs like Emily and the infectious Ten More Days really benefit, immaculately put together and expressed, with Simpson singing ‘keep your head up, keep your head up’ in a suitably heart-strong fashion on the latter. At times the lyrics can be slightly clichéd, as they were on Young Pilgrim, but Simpson has refined his approach, and Long Road Home sounds like a more personal release, relying less so on what’s expected of a folk / acoustic record and instead telling stories on its own terms. Still Young boasts some brilliant imagery – rolling waves and welcoming fires – both of which are common, but the song is spun in a way that makes these pictures pleasingly familiar instead of exasperatingly so. For the most part Long Road Home is refreshing and spirited, even in the light Simpson’s struggle prior to recording it. It might have been a tough record to make but at its most buoyant it sounds like it doesn’t have a care in the world; a cool breeze meant for a sunny day despite some thoughtful lyrics that suggest Simpson is partial to a frosty Winter morning. Penultimate track Forty Thieves is much darker as he asks ‘Oh God, where are you? I though you loved us all the same?’, and its multiple textures are used to brood instead of bloom. It’s a change, but it still has a charm to it that’s very difficult to resist, another track that Simpson pulls off splendidly. Would You Love Me Any Less? is touching and vulnerable as it runs through scenarios, whilst joyous second track Comets is a contrast, blissfully cheery and featuring the records best chorus – one which should surely continue to elicit a smile after several listens. Each song offers something in its own unique way (despite all of my comparisons to similar artists) but the real triumph, and perhaps the boldest song on Long Road Home is Haunted, an anthemic, rousing entry and the most ‘alternative’ on the record, if that’s the right word – you get the sense that it could work well as a Fightstar song. Mellow, reserved verses give way to a huge, catchy chorus, and the song benefits from more traditional vocals, the rasp of Simpson’s usual delivery is more prominent, and it fits with the grittier side of the track as lines like ‘we’re born together, we die together’ ring out in a way which begs they be shouted back, and the song even presents such an opportunity in the back-and-forth towards the end, meaning it’s destined to go down well at shows. Long Road Home ends with eleventh track Another Year, a great closer, acoustic initially and adding more as it goes on, lyrically reflective and searching as the track slowly builds, and just as you expect it to reach a crescendo it drops off to a lone piano which sees out the album, cruising towards the end, and like the song itself it encourages some reflection. As that final, floating minute plays out you can’t help but feel you’ve listened to something which will stay with you for another year (sorry) or even longer. Long Road Home is one of those records, and it’s an absolute joy. I’ve reviewed more singer-songwriter records in the last six weeks than I had all year until that point, and Long Road Home might be the best I’ve had the pleasure of hearing in 2014 (aside from perhaps Noah Gundersen’s Ledges). It’s a gorgeously composed and textured listen with some real heart, a charmer from start to finish which continues to show Simpson’s versatility and talent as a musician. As much as I’m looking forward to the return of Fightstar, which I expect will be Simpson’s next venture I’ll have no complaints if he continues to carry on down this road – the longer the better if he can continue to produce records as brilliant as Long Road Home is.